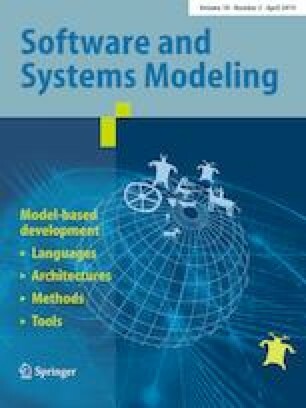 Models can be used to ease and manage the development, evolution, and runtime adaptation of a software system. When models are adapted, the resulting models must be rigorously tested. Apart from adding new test cases, it is also important to perform regression testing to ensure that the evolution or adaptation did not break existing functionality. Since regression testing is performed with limited resources and under time constraints, regression test selection (RTS) techniques are needed to reduce the cost of regression testing. Applying model-level RTS for model-based evolution and adaptation is more convenient than using code-level RTS because the test selection process happens at the same level of abstraction as that of evolution and adaptation. In earlier work, we proposed a model-based RTS approach called MaRTS to be used with a fine-grained model-based adaptation framework that targets applications implemented in Java. MaRTS uses UML models consisting of class and activity diagrams. It classifies test cases as obsolete, reusable, or retestable based on changes made to UML class and activity diagrams of the system being adapted. However, MaRTS did not take into account the changes made to the inheritance hierarchy in the class diagram and the impact of these changes on the selection of test cases. This paper extends MaRTS to support such changes and demonstrates that the extended approach performs as well as or better than code-based RTS approaches in safely selecting regression test cases. While MaRTS can generally be used during any model-driven development or model-based evolution activity, we have developed it in the context of runtime adaptation. We evaluated the extended MaRTS on a set of applications and compared the results with code-based RTS approaches that also support changes to the inheritance hierarchy. The results showed that the extended MaRTS selected all the test cases relevant to the inheritance hierarchy changes and that the fault detection ability of the selected test cases was never lower than that of the baseline test cases. The extended MaRTS achieved comparable results to a graph-walk code-based RTS approach (DejaVu) and showed a higher reduction in the number of selected test cases when compared with a static analysis code-based RTS approach (ChEOPSJ). This material is based upon work supported by the National Science Foundation under Grant No. CNS 1305381. We would like to acknowledge the support of Quinten Soetens who helped us install and run ChEOPSJ.